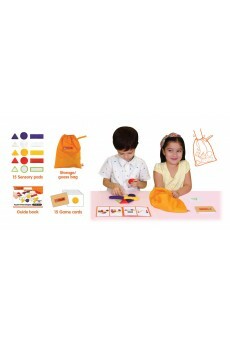 Touch N Feel Shapes comes with 15 sensory pads (5sets x 3shapes), 1 storage/guess bag, 15 game cards and 1 guide book. The sensory pads are made of 5 different fabrics to provide different tactile stimulations. Start to familiarize the child to touch the pads and understand the different textures. Then put pads into the bag. 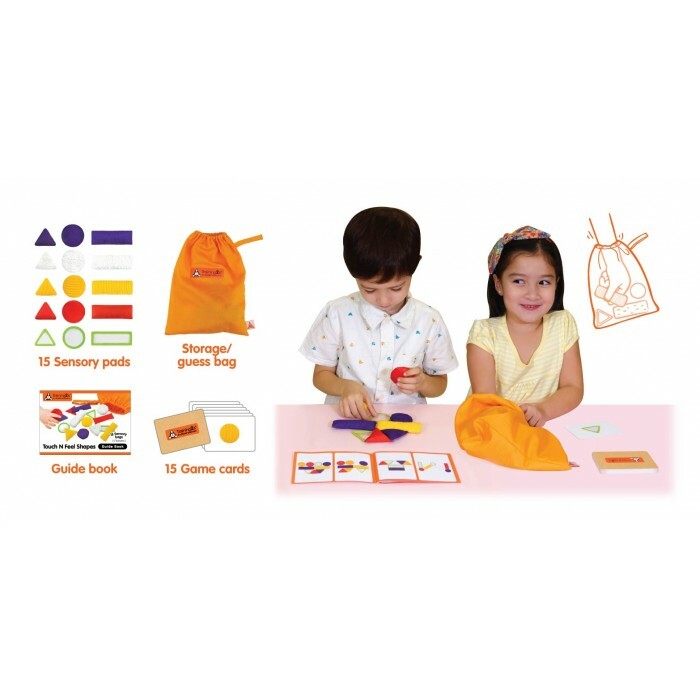 Ask child to pick a game card and use their hands to poke into the bag to find the right one. Parents can start with two groups of shapes and gradually increase the level of difficulty.